1. The steel spindle is an important part of the HDPE pin insulator, it can decides the mechncial strength of the HDPE pin insulator. 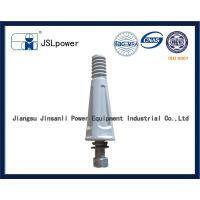 2.Its usage is fixing the insulators to the overhead power transmission line or substation. 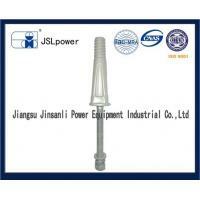 3.It can be with strain clamp, U bolt, plates and a various of fittings, etc. 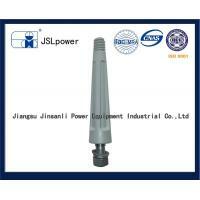 Modified polyethylene Pin Insulator Spindle & HDPE Insulator Pin. Used on the cross arm with HDPE Pin Insulator. Made of HDPE and metel. High strength and electrical performance. Resistance to electrical tracking & UV protection.